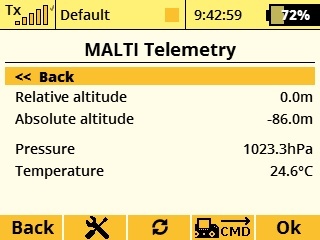 Jeti's MAlti EX is a system that measures atmospheric pressure and using obtained data it calculates the altitude above sea level, temperature, and air pressure. The sensor also alerts you if any alarm setting is exceeded. 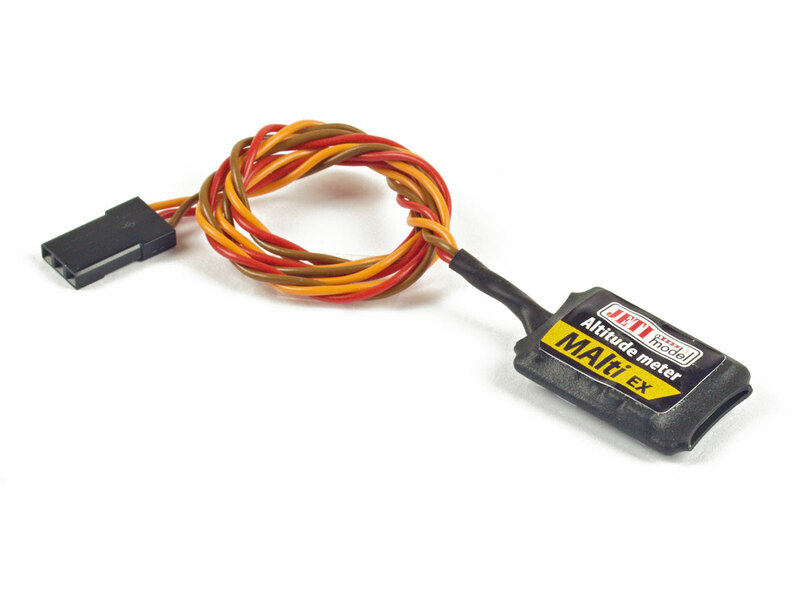 MAlti is a very sensitive pressure sensor. 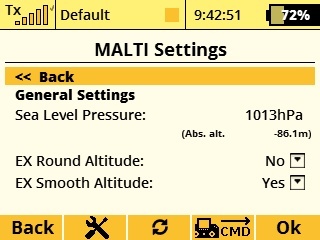 Any change in pressure causes a change in the indicated altitude. The sensor should be mounted in the model in such a way that the sensor is not affected by air pressure flowing inside of the model, but only by static atmospheric pressure. In other words do not install sensor in direct airflow. For the most accurate measurement, do not install sensor near any components that generate heat during flight. 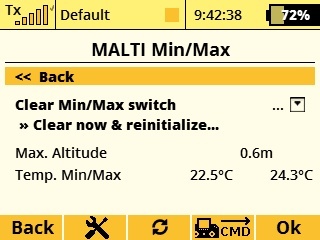 For proper MAlti function the transmitter version at least 2.20 (or newer) and the receiver version 3.14 (or newer) is necessary. Make sure that in the Devices folder of your SD card you have a configuration file "MALTI.bin". Also make sure that you select EX Bus output for your receiver. Just installed this sensor in my Gracia Maxi 3.5 . It is a fantastic addition to my plane,works great. I would recommend this to everyone. Easy to install.